Portugal's Cristiano Ronaldo and Real Madrid teammate Gareth Bale headlined a 10-man shortlist announced yesterday for the Uefa Best Player in Europe award. 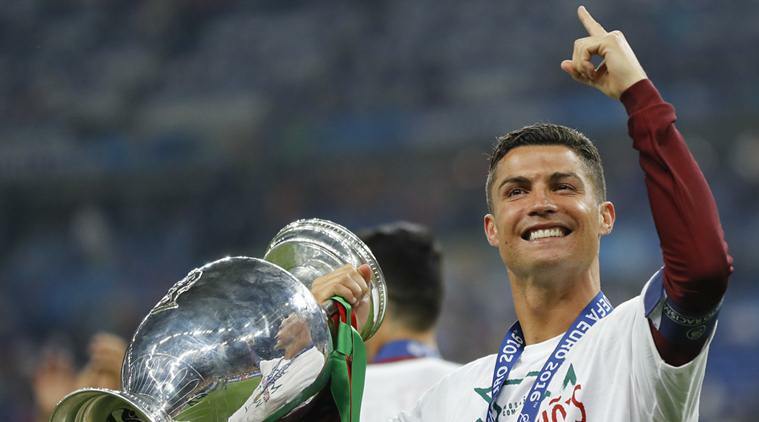 Ronaldo struck the winning spot-kick as Real claimed an 11th Champions League title, beating city rivals Atletico Madrid on penalties in May, before leading his country to Euro 2016 glory. Fellow Portugal and Real teammate Pepe also features on the shortlist along with Wales star Bale, who steered his country to the Euro semifinals in their first appearance at a major finals since 1958. Ronaldo is favourite to the win the award for a second time after scooping the honours in 2013-14, which would see him draw level with Barcelona’s Lionel Messi. Atletico striker Antoine Griezmann was also nominated after his six goals at Euro 2016 earned him Player of the Tournament and the Golden Boot, only for France to fall short against Portugal in the final. Messi was one of two Barcelona players to make the list along with Luis Suarez, while Bayern Munich duo Manuel Neuer and Thomas Mueller, Juventus goalkeeper Gianluigi Buffon and Real midfielder Toni Kroos were also included. The players were selected by journalists from each of Uefa’s 55 members associations, who will vote for a second time on 5 August to determine the three finalists.